As we continued our way north along the western coast of Portland we reached Blacknor Observation Post. Build in 1940-41 it has expansive views over Lyme Bay, a large tract of water stretching almost 50 miles from Portland to Devon. 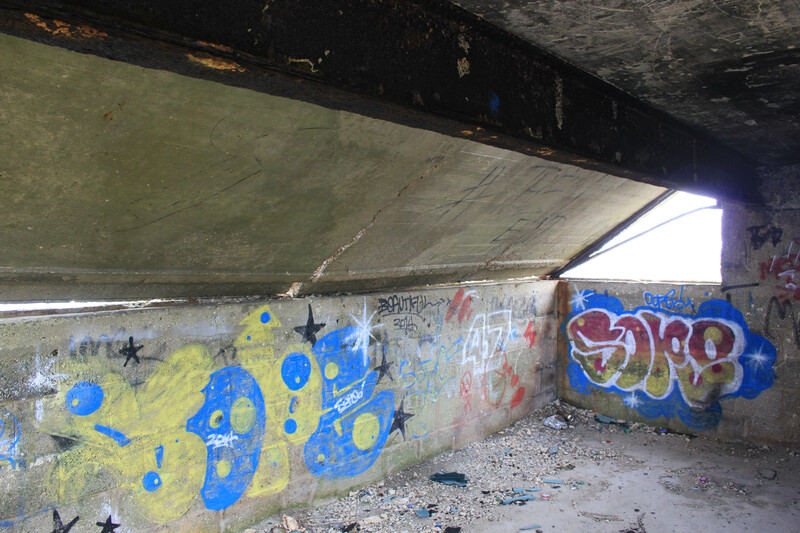 I say the observation post has expansive views, but unfortunately part of its roof collapsed in 2014, meaning the views are rather less expansive today than originally intended. Next to the observation post are two gun emplacements. 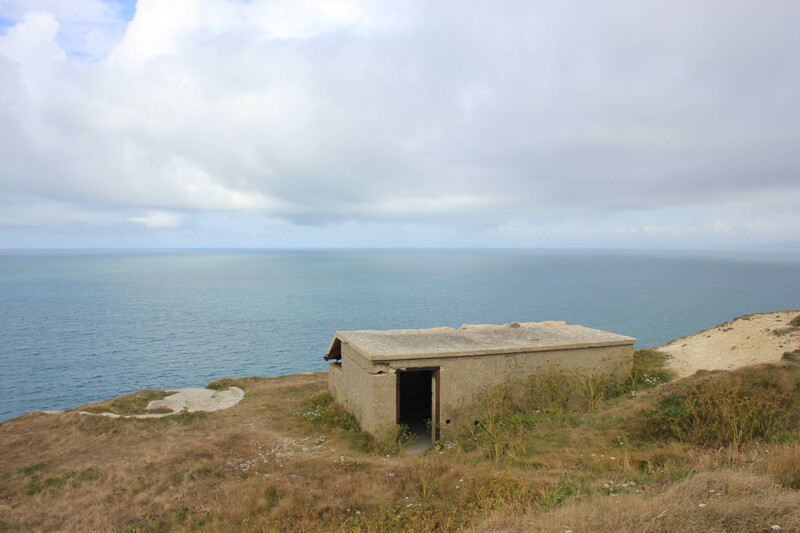 These actually predate the observation post, having been constructed in 1914 to protect a torpedo factory and Admiralty oil tanks which belonged to the Portland Naval Base. Each was designed to hold a 15-pounder gun. 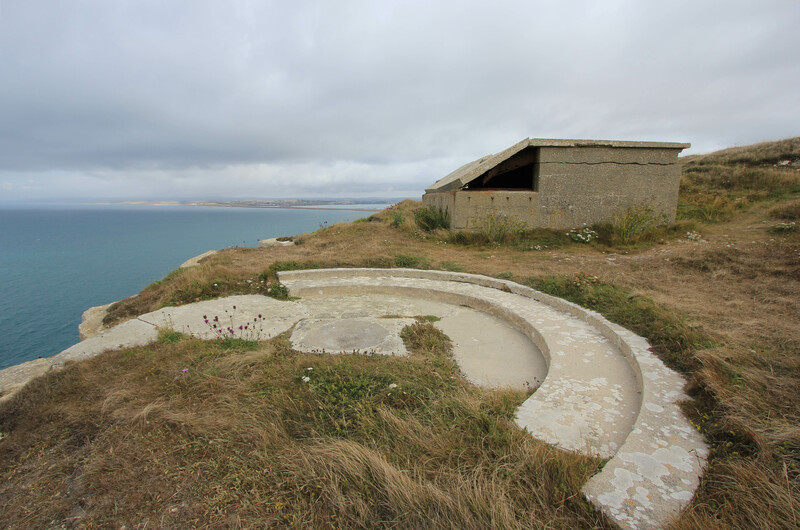 During World War II these were upgraded Lewis Anti Aircraft guns, and it is said that one of these shot down a Dornier DO 17 bomber on Chesil Beach. The guns were eventually removed in 1954. Sat above the observation post is Blacknor Fort itself, constructed in 1902. On the night of 27 April 1944 the fort witnessed the Slapton Sands tragedy (click here for more information on this tragedy), when nine German E-Boats attacked US troops during a night exercise in Lyme Bay. The fort’s gunners were ordered not to attack the E-Boats for fear of inflicting enemy casualties. The E-Boats were therefore able to attack unopposed, resulting in the death of more than 700 US troops. Blacknor Fort is today privately owned. We only caught a glimpse of its outer walls as we passed by. 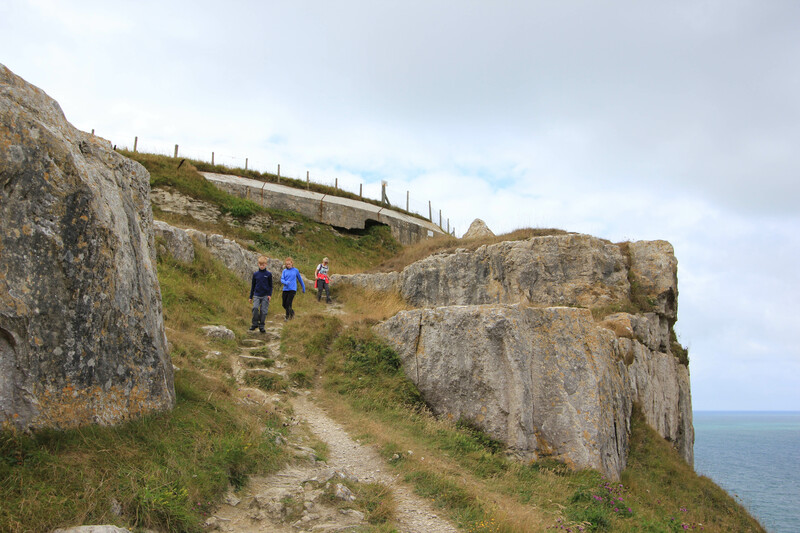 This entry was posted in Dorset and tagged coast, portland, travel, walking, World War II. Bookmark the permalink. Good to know you are back on the road! Back on the writing about the road, then!